Happy Friday Lovies ... you know this is my favorite day of the week!! This one is extra fabulous for us because the littles have fall break next week so we are off on a fun fall vacay!! Even more reason to celebrate with a fabulous bar set up, right? 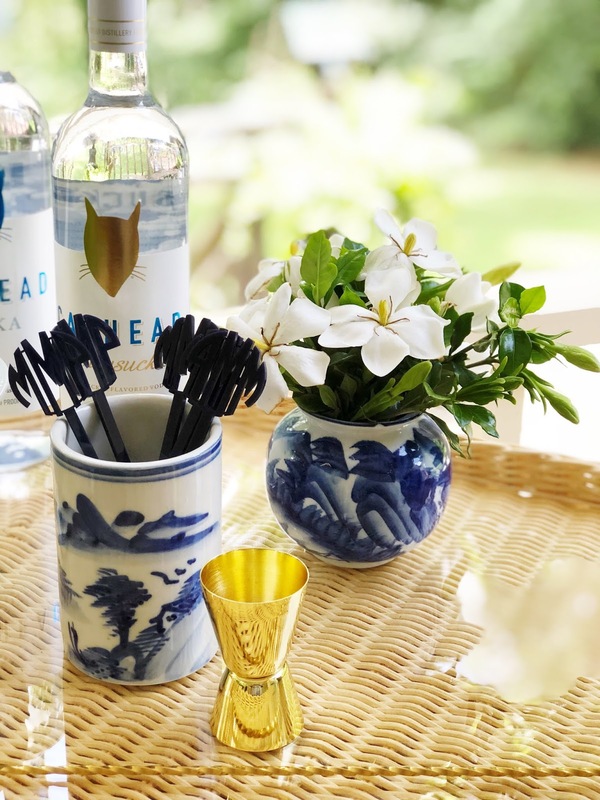 My darling bar essentials girl is the feature in today's installment of the Bar Cart Series! 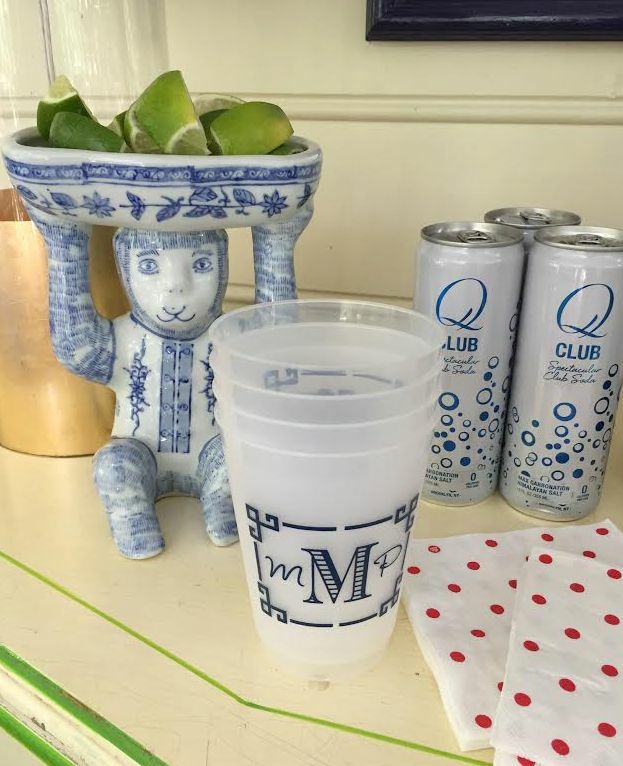 When I need personalized bar cups, stirrers and matches I go straight to Sequins & Lipsticks and Tammy creates something fabulous for me every single time! You have seen them before in this post and on my Instagram! 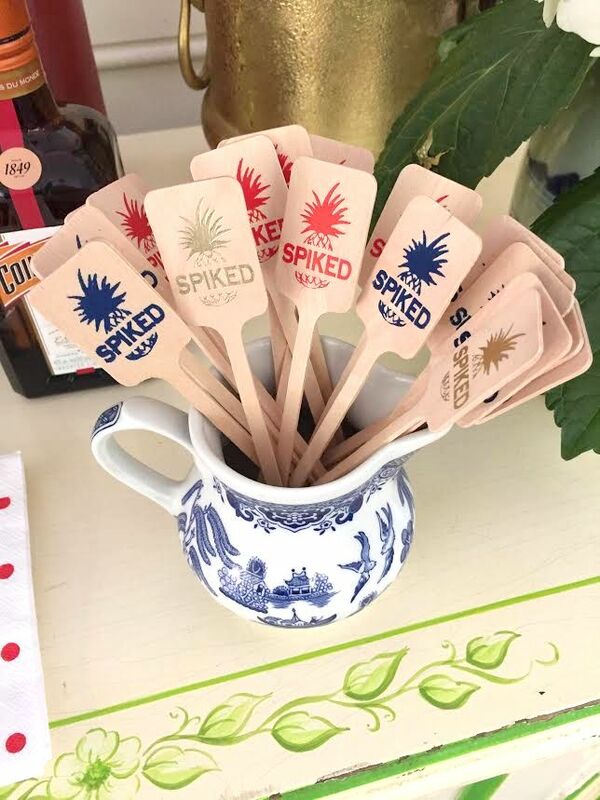 How darling are the cups and spiked stirrers she made for me for the summer?? We still have them in rotation and I love them so! I already have them packed for next week!!! Tammy is here today sharing a bar set up she created. I love this for a few reasons. 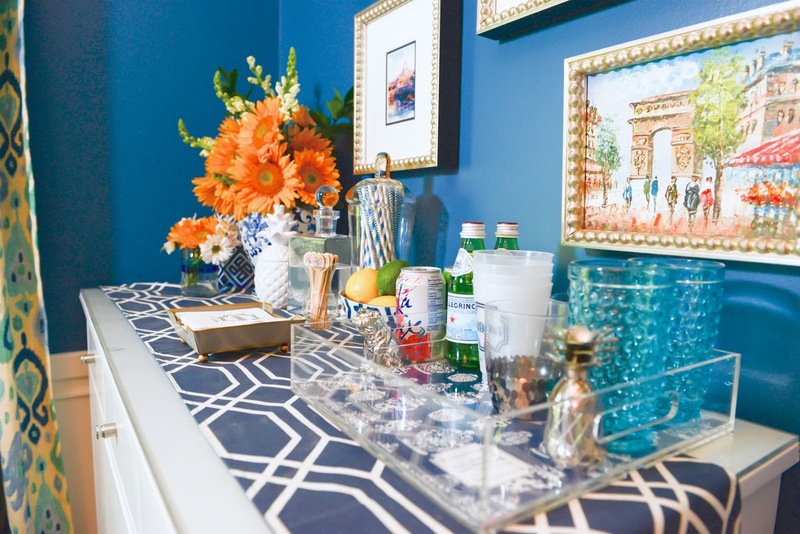 One its a fabulous bar set up and two it isn't a bar cart. 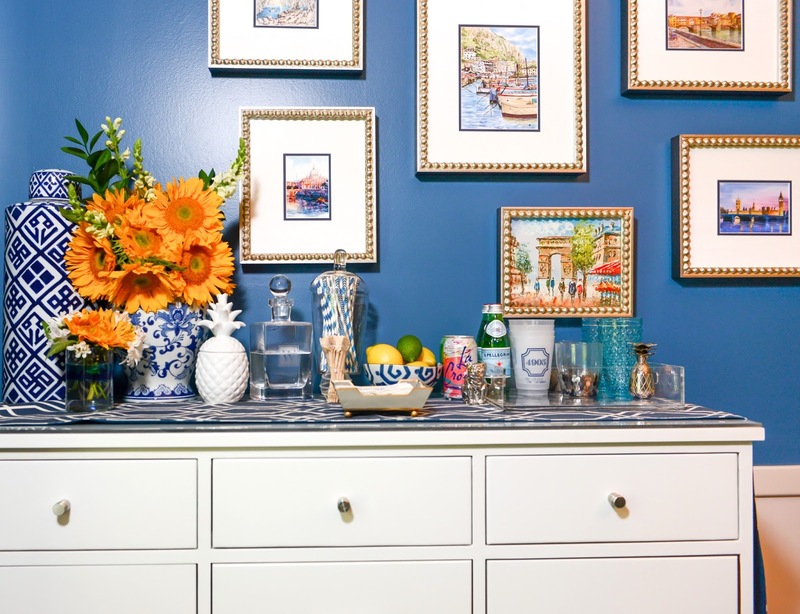 I get a lot of questions about what to do if you don't own a bar cart and my response is always the same. 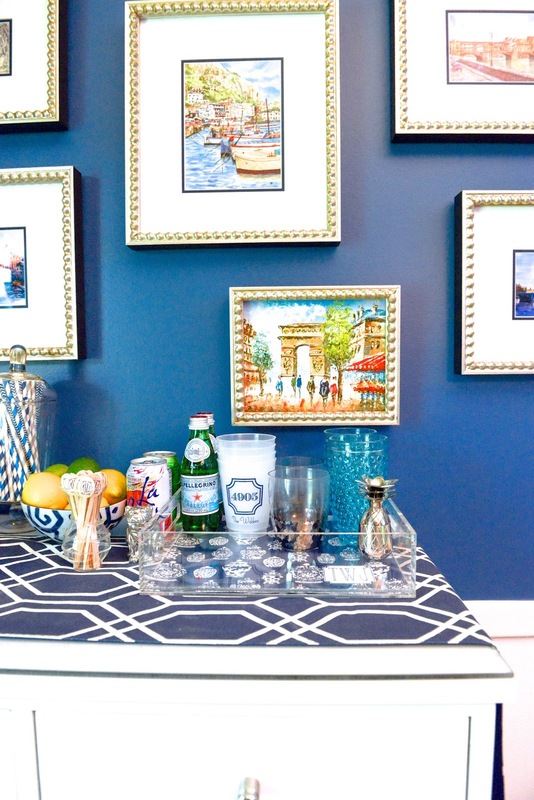 You definitely don't need a bar cart to create a fabulous bar area and Tammy has the perfect example!! 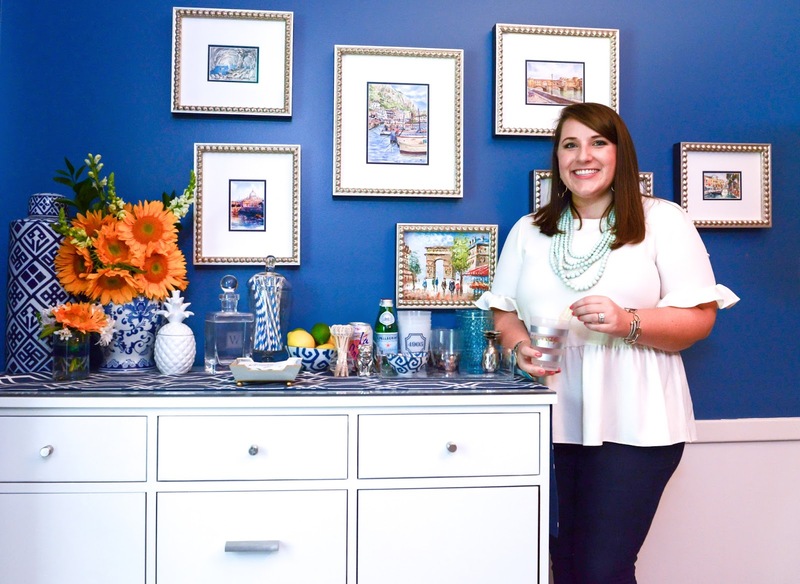 She has pulled together all the essentials for a perfect cocktail and added in every single thing I think you need to make a fabulous bar come together. 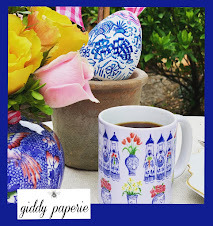 Flowers, blue and white porcelain and lots of personalized pieces! 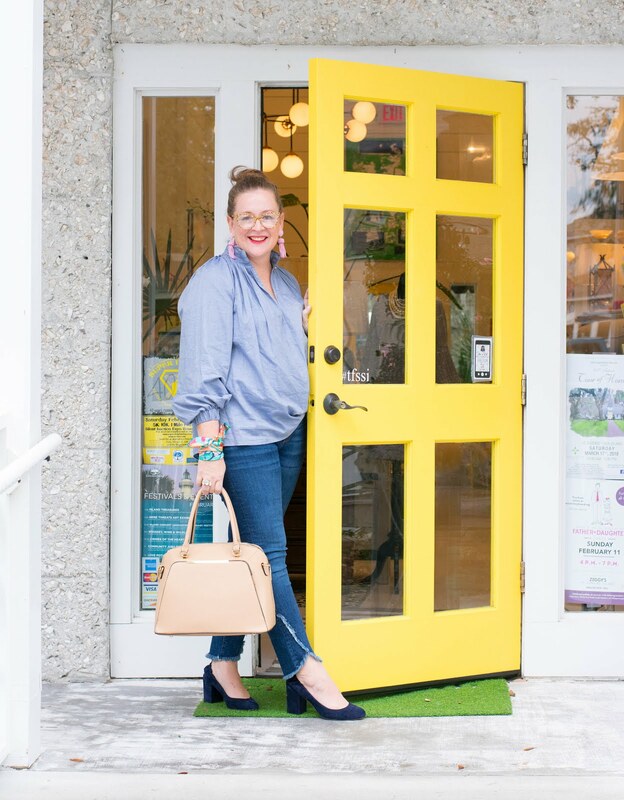 And of course, my favorite part ... a little Q + A with Tammy about herself and her darling business! Tell me about Sequins & Lipstick ... how did this business start for you? Honestly, it started out as a hobby! I’ve always loved stationery, invitations, and personalized items. After getting married and helping host countless showers for friends I started experimenting with adobe illustrator for invitation layouts. While I was teaching full time, I opened an Etsy shop two summers ago and Sequins & Lipstick branched out from there. Invitations led to stationery, napkins, cups, matchbooks, coasters, trays, and so much more! The printing and manufacturing industry is fascinating to me so I’m always sourcing new products for the future. I have a bachelors degree in accounting and masters in middle grades math and science… who would have thought I would spend my days designing paper goods and party supplies? It’s a pleasant surprise and I feel very fortunate to have found my way into such a creative industry! That’s a tough one!! 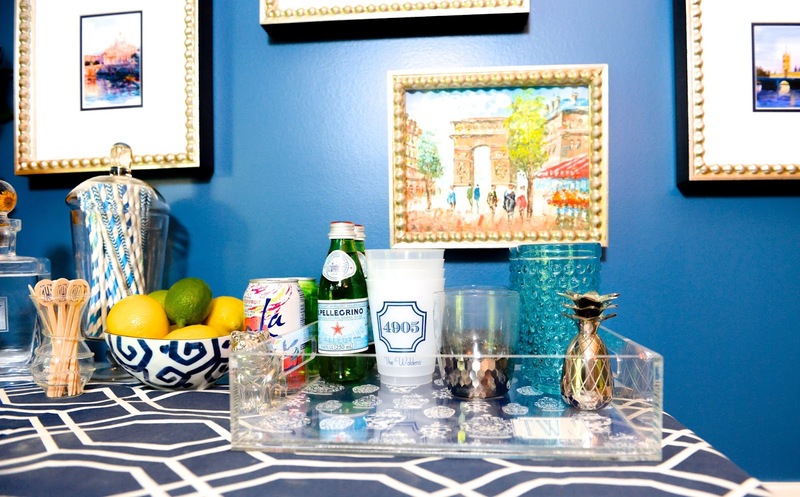 It’s a close tie between the acrylic trays and shatterproof cups. Colorful designs are my favorite!! I love creating patterns for the trays. 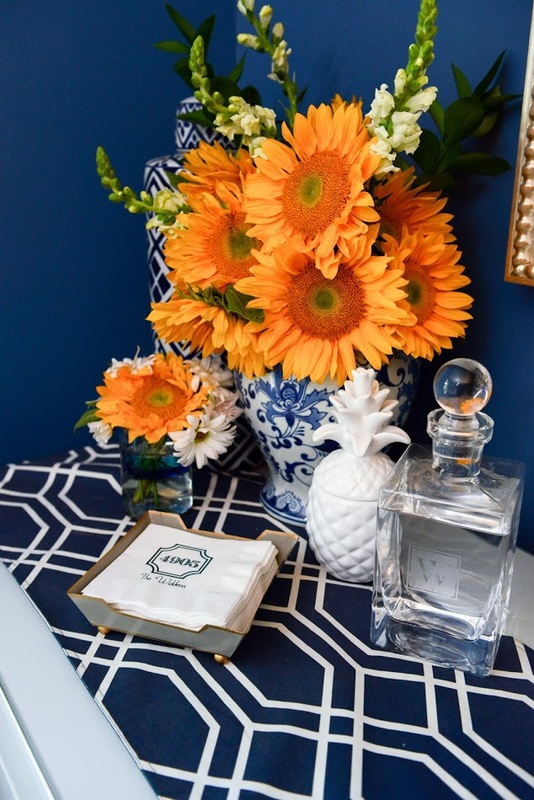 The color combinations are endless and so much fun! Shatterproof cups are so useful and chic. Both are perfect gifts! 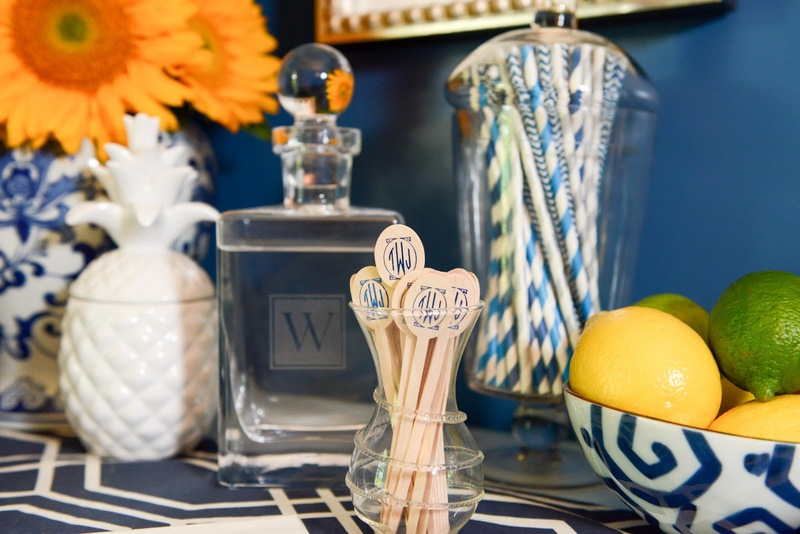 When you set up a bar ... what are your five must haves? 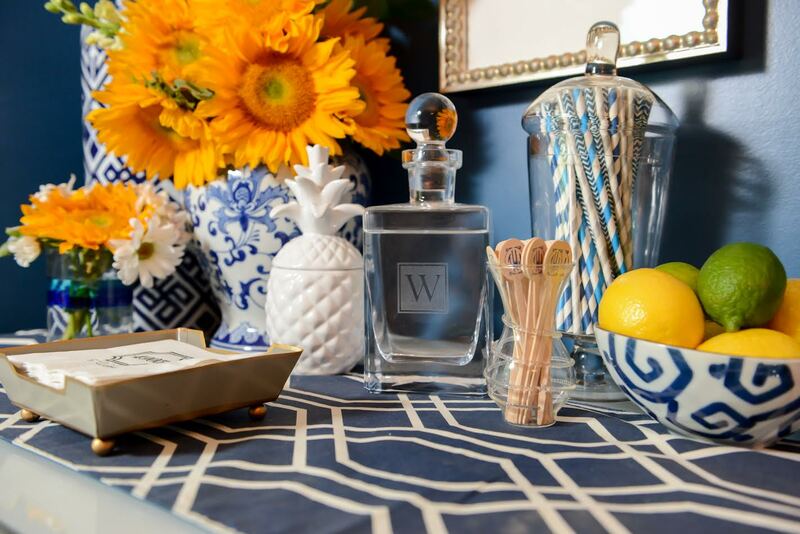 Flowers, fun napkins, drink stirrers or cute straws, personalized coasters, oh and of course liquor, we do need to drink something :) It’s really all about the theme and fun accessories for me!! You know I love personalized products ... what is your best seller? Cups! 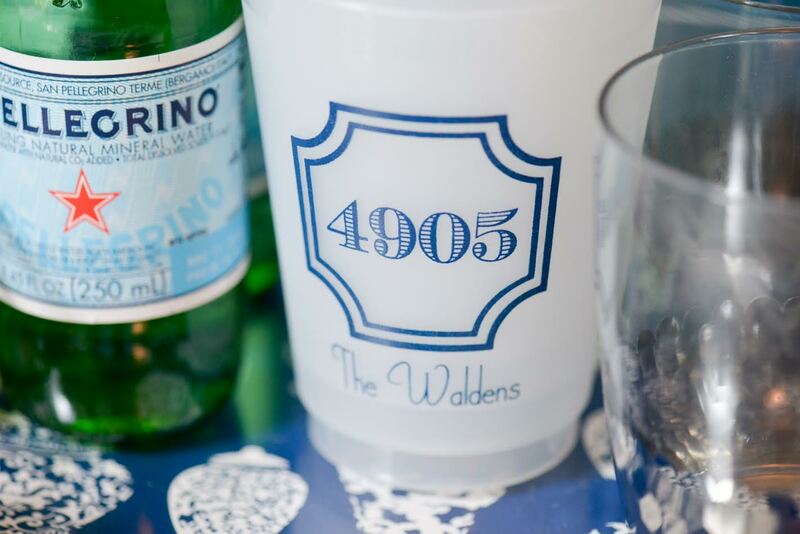 There are so many events that can be made even more special by branding your theme with personalized cups (and napkins). Customers really enjoy the reusable aspect of personalized cups. Personally, I always keep some washed and ready for friends to use as to go cups. Visitors can take a little bit of our home with them when they leave! Sleeping in… it’s such a bad habit but I am not a morning person. Not at all! I love spending the day with my husband and two basset hounds, Milly and Sadie. Meeting up with friends for lunch or dinner is a fun treat too. Regardless of what I’m doing, if I’m surrounded by fun people whatever we do will be perfect! You were just handed $100 ... what do you spend it on? Depends on if I’m feeling extravagant or not. 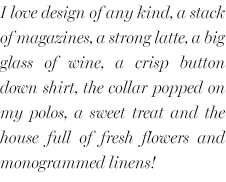 Extravagant would be purchasing more china. I am very much addicted to tabletop styling. I’m not the best cook but the meal will always be served on pretty dishes! If I haven’t hit my personal goal for donating that month I would donate the money to Angles Among Us Pet Rescue. I was one of their volunteer coordinators for two years and pet rescue has a special spot in my heart (and wallet). If I spotted you on a random Saturday what would you be doing? Probably running errands or eating lunch with a friend. I also love a good outdoor concert and binge watching a Netflix series. My weekends aren’t very consistent these days! Striving to run a successful small business! Hearing other entrepreneur’s stories is really inspiring to me. It probably sounds boring, but I take the business side very seriously and I’m always curious to hear about someone’s background and how we can learn from each others experiences. Being able to share with other people who relate to your daily struggles and triumphs is so necessary. Sometimes that is hard to come by, so when I find that outlet I feel inspired and ready to put plans into action! Oh and lots of color and anything with a repeating pattern! There are quite a few things I truly adore about working with Tammy. She is prompt and always sends me way more proofs than I ever expect to give me plenty of options to choose from. I am very visual so more is always the best option for me! 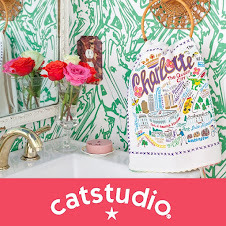 Her products are darling, well made and perfect to add to any set up I design. 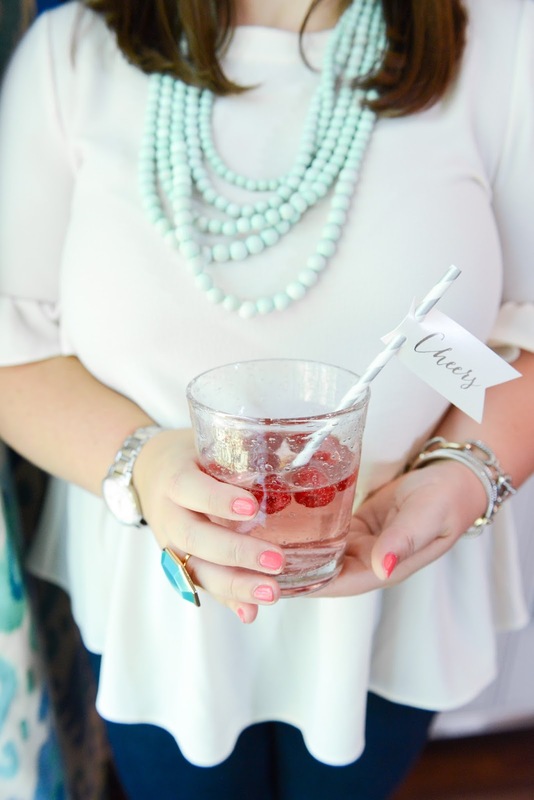 I just loved the spiked stir sticks for July 4th ... the kids knew exactly which drinks were meant for them! Thank you for creating this darling set up Tammy ... and for saying yes when I asked you to participate!! 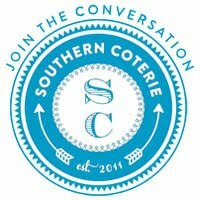 Your shop is one of my absolute favorites and every one I know needs to shop with you!! Happy shortest of Fridays to you all ... chin chin to a fabulous evening and weekend!! Thanks Paige! 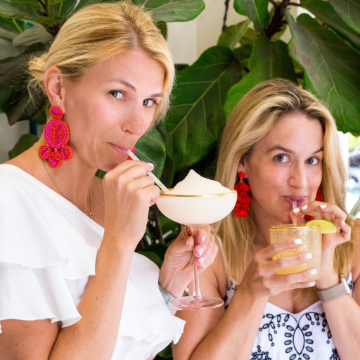 I feel so fancy being featured in your fab Friday series :) You are such a fun friend. Thanks for your supoort! Beautiful! I love monograms ~ don't we all? :) Can't wait to visit her shop!